This week, scientists presented new observations from the Kepler and Hubble space telescopes that suggest the discovery of an exomoon. These foreign moons are the natural satellites of planets orbiting stars outside of our solar system, of which there are no currently confirmed cases. The exomoon candidate orbits around an exoplanet called Kepler-1625b. 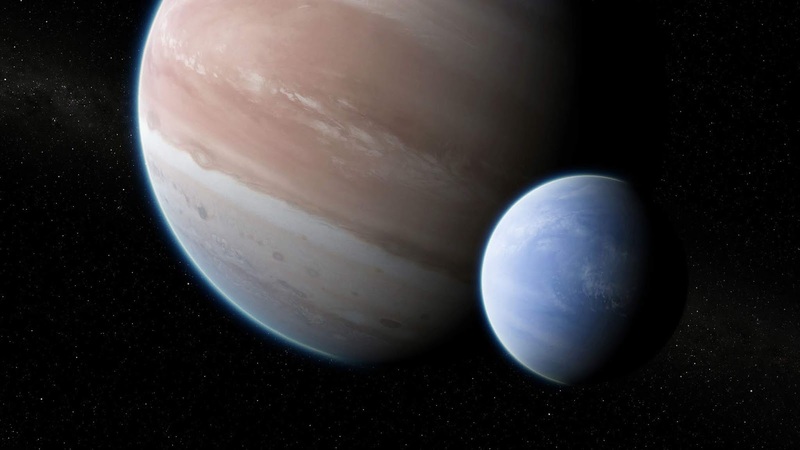 Located about 8000 light-years away from Earth, this planet is likely several Jupiter masses while the exomoon has a mass and radius similar to Neptune. The scientists advocate in favour of their moon hypothesis due to a collection of factors including timing deviations and a flux decrement from the star. During observation of the star, it was noticed that there were weird deviations in the 'light curve' generated by the 19-hour-long transit of the planet. Further observation revealed an additional decrease in the star's brightness after the planet transits its star. "The first is that the planet appears to transit one and a quarter hours too early; that’s indicative of something gravitationally tugging on the planet," said co-author David Kipping of Columbia University. "The second anomaly is an additional decrease in the star’s brightness after the planetary transit has completed." "We hope to re-observe the star again in the future to verify or reject the exomoon hypothesis," Kipping said. "And if validated, the planet-moon system — a Jupiter with a Neptune-sized moon — would be a remarkable system with unanticipated properties, in many ways echoing the unexpected discovery of hot Jupiters in the early days of planet hunting."